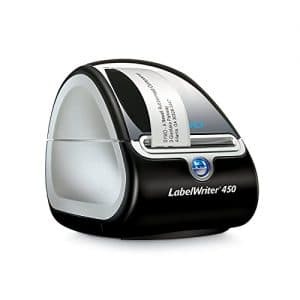 Label printers are essential in the office and warehouse. 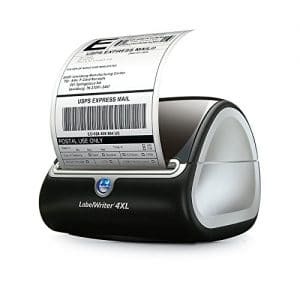 They can print addresses, barcodes, name badges, categories, and other important labels. Some can even print postage stamps. 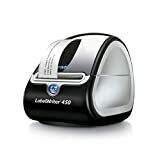 The top 5 label printers are listed below. This label printer prints 71 labels in one minute. It’s available in black or silver. There are two styles to choose from: 450 Duo and 450 Twin Turbo. The Duo version has one spool, while the Twin Turbo has two spools. 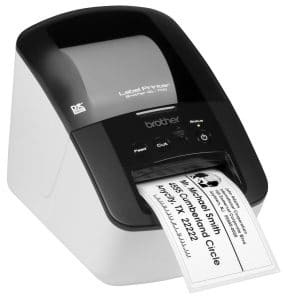 Both styles utilize thermal printing technology which doesn’t use ink or toner. There are also three sizes to choose from, but they aren’t different sizes. Instead, additional products are included (labels and scale). 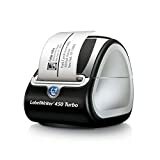 This label printer is compatible with Word, Outlook, Excel, and QuickBooks. This label printer prints 93 labels per minute. The labels have rounded corners and an easy-peel design. It can print on continuous-length paper and film tapes (banners and signs) up to 3 feet in length. 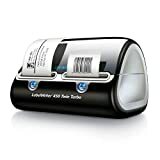 It has a convenient drop-in design for the label rolls. 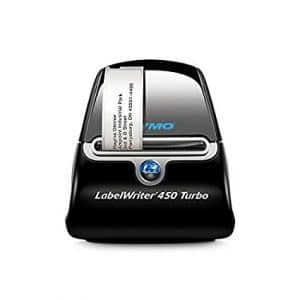 Multiple labels can be printed at the same time and each label is precisely cut as it comes out of the printer. The resolution of the printer is 300 X 600 dpi. It can connect to a computer via a USB cable. 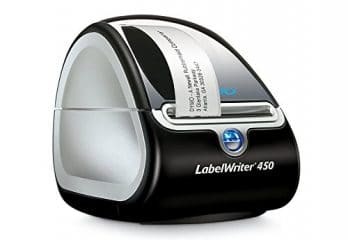 This label printer prints 51 labels per minute. It uses easy-peel, stick back D1 tape in several sizes (1/2-inch, 1/4-inch, or 3/8-inch). It is compatible with MacOS v10.8 or later and Windows 7 or later. QuickBooks, Outlook, Word, and Excel are compatible. It’s available in silver or black, and it’s only 3.2 pounds. 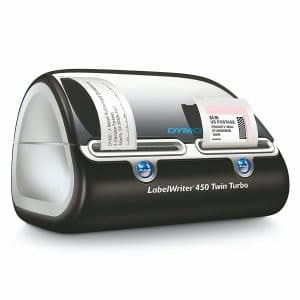 This is a wide-format label printer that prints labels up to 4.16 inches (4.1 X 6.275 inches). More than 60 layouts and label styles are available. This label printer prints 53 standard address labels (4-line addresses) in one minute or 129 high capacity labels (4-lines) in one minute. The labels have a resolution of 300 dpi. This printer utilizes thermal printing technology, so no ink or toner is required. This label printer prints 71 labels per minute. it is compatible with Windows 7 or later and macOS 10.9 or later. Several programs are compatible with well including Outlook, Excel, Word, and Quickbooks.